Support the Association on Giving Tuesday! Support the Trail this Holiday Season! Support the Association via iGive! Do Your Holiday Shopping Via Amazon Smile! As a non-profit 501 (c)(3), our programs and projects for the trail are largely supported by donations from individuals and businesses such as you. With your financial contribution, we are able to run a host of programs such as our education program, Geographic Information Systems mapping program, resource protection program, and our signage program. Therefore, with the holidays upon us, we would like to share various ways that you can help to support the association! A good way to support the association, at no cost to you, is to do your online shopping at AmazonSmile. In doing so, you will have the same selection and price as traditional Amazon, but with the added benefit of 0.5% of your purchase going to the association at no additional cost. We also encourage you to share our AmazonSmile link with your family and friends, so that they can support the association while shopping too! It’s a win-win for everyone! Much like AmazonSmile, iGive.com will donate a percentage of your sale to our organization at no cost to you. The difference is that when you shop at iGive.com, you will be able to shop with over 1,500 retailers who participate in the program and who donate to our cause at various rates! More so, with iGive.com you can install an application on your web-browser that will place an umbrella-like icon on your browser, so that anytime you visit a website that participates in iGive.com, you will be prompted to take advantage of the donation. It is an ingenious little tool that makes giving to the association extremely easy! Once again, please share this link with your family and friends, so that they can also help to support the organization. As always, we encourage you to give the gift of membership in the association or to make a donation for the holidays! There’s no easier way to share something with your family and friends that is so important to you, while encouraging them to become supporters themselves in the future! Student membership starts at just $10 and we will accept donations of any amount! Additionally, we have a way for you to support our organization in a very specific way. For the first time, we have developed an association wish list of things that you can purchase to directly benefit the organization! We are requesting your support via purchase of items such as computers, GPS units, liability insurance, and phone service for the association. In purchasing one of these items for the association, you can know exactly what your donation is going to in support of the trail and association! We appreciate your support and generosity! We couldn’t do what we do for the trail without you! El Camino Real de los Tejas Rancheria Grande Project (Project) is a collaborative effort between the Association, GTI Environmental, LLC (GTI), and certain landowners whose properties are located at the confluence of Pin Oak Creek and Alligator Creek directly adjacent to Gause, Texas. The Project includes archival research, archaeological investigations and reporting of archaeological sites. The association has received a $30,000 Texas Preservation Trust Fund grant from the Texas Historical Commission, and an additional $30,000 in matching funds were raised towards the project, giving it a total of $60,000 worth of funding! Archaeologists intend to conduct their investigations to demonstrate that the archaeological sites merit designation in the National Register of Historic Places as the Rancheria Grande Archaeological District. The national significance is seen by the presence of a segment of El Camino Real de los Tejas National Historic Trail in the project area. The project is viable, because the resources are intact, the professionals meet the Secretary of the Interior’s Standards and Guidelines for Archaeology and Historic Preservation, and GTI has budgeted, designed, managed, and completed reports for similar financed projects, such as the Lobanillo Swales Historic Resources Report and Archaeological National Register Testing Report resulting in the sites’ listing in the NRHP and SAL designation. The project will benefit the public by allowing for a deeper understanding of Texas’ early 18th-century history between San Antonio and Nacogdoches, especially that of Native American communities that historically inhabited the Rancheria Grande. The Rancheria Grande has been the focus of historians and Texas settlers for 300 years. Spanish Colonial written records refers specifically to the Rancheria Grande in correspondence between Martín de Alarcón and the Marqués de Aguayo from 1719 to 1721. While the San Francisco Xavier de Nájera Mission was established in San Antonio for the Ervipiame in 1722, Father Juan Agustín Morfi tells us another mission (San Xavier) was established for the Ervipiame in the area of Milam County during 1747. The archaeological project will take place at this later location in Milam County, Texas. Sergio Iruegas of GTI Environmental conducts an archaeological survey in Milam County. 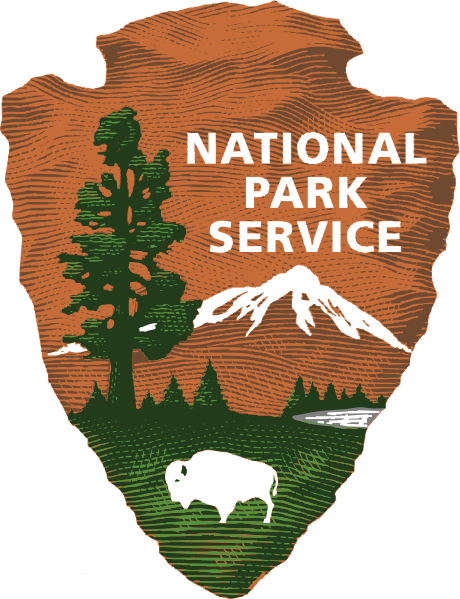 After being rained out in June 2016, the official National Park Service Centennial Event on El Camino Real de los Tejas took place at McKinney Falls State Park in Austin, Texas on November 5th! The event was attended by around 100 American Heritage Girls and their families, and it consisted of guided hikes, a Junior Ranger program, and lots of learning and exploring El Camino Real! Association staff and volunteers and agency officials from the Texas Parks and Wildlife Department and the National Park Service were on hand. Plus, an added bonus was having Girl Scout, Grace Vasicek and her family present for a trial run of an NPS Junior Ranger program that Grace is developing for her Silver Award! While rain was rearing its head, and potentially looking to put a damper on the event again, in the end, it turned out to be a great success! Thanks to all who came out to FindYourPark! Lynn Mager and Grace Vasicek conduct a Junior Ranger Program at the Centennial Event.